For those who follow me on Facebook or 500px you may have noticed a change in my photography from Black and white Architecture to Waves in motion. Interests and passions come and go for various reasons. For me the interest of Architecture hasn’t left it is just on hold for a while. 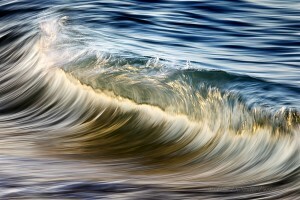 What has sparked my interest and passion is the movement of waves. Not just the mere photographing of a wave frozen in time but the motion of that wave with a slightly longer shutter speed that freezes the motion, smoothness and elegance of the wave. As with all of my photography Architecture and Waves in motion I like to capture more than just what the eye can see. With architecture it was the movement of the world around the structure with clouds and lighting and the removing of visual effects of people, cars, boats planes or anything that could lead a building to a time period. With wave photography it is the same way. Capturing the movement of a wave without surfers or bodyboarders, capturing just the elegance of something that is only here for a moment and then gone. More than just a wave frozen and less than an unrecognizable blur. The process time of photo’s is a considerable amount less. What would take me 20 to 40 hours or more to process one architecture photo with selections and light painting takes me 30 minutes to an hour of process time with a wave. Being close to the ocean means I can get out there 2 to 5 times a week even if it is just for an hour in the morning. Harsh sunlight after sunrise means you are up early, out early and heading home early to process and post. The stress of life can be washed away at the ocean shore, not the same feeling in the city streets of Los Angeles or any other big city. Change…change is good, creates new creative flows in your work and your mind. There will upcoming posts about camera settings, shutter speeds, processing and more so stay tuned! Please contact me with any questions you may have about my shooting style.